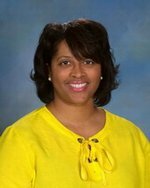 I've been employed with Madison City Schools since 1997, first at Discovery Middle, where I taught for nine years as a special educator, I then transitioned to Bob Jones for six years as a guidance counselor. I am now very excited to be a JET at James Clemens! As your guidance counselor, my goal is for all to achieve optimal personal growth, acquire positive social skills and values, set appropriate career goals, and assist students in realizing their full academic potential, to become productive contributing members of the community and ultimately the world. I received my Bachelors of Arts degree from Alabama State University in Communications - Radio/TV; my Masters of Education in Special Education / Learning Disabilities from Alabama A & M University, and my Educational Specialist degree in school counseling was obtained from the University of West Alabama. I was born and raised in Illinois, and now reside in Madison, with my husband, Brett, and children, Bryson and Briana. They are my joy! I love traveling with my family, going to sporting events, and being active in church youth events. Please contact me if I can be of assistance to you and your family, rsmith@madisoncity.k12.al.us or (256) 216-5313.